CHARLOTTESVILLE, VA – Composting at the Charlottesville City Market is back for 2016! Enthusiastic and continually increasing participation in the 2015 pilot program helped inform the decision to bring this service back.This year’s program offers a Composting Station that again serves as a collection point for organic waste from market vendors and customers as well as a drop-off location for residents. In addition to supporting Charlottesville City Council’s 2025 Vision: A Green City, this program responds to interest that residents have demonstrated about sustainably managing household and City Market waste. Collection service is offered every Saturday at City Market from April through October – 7AM to Noon. 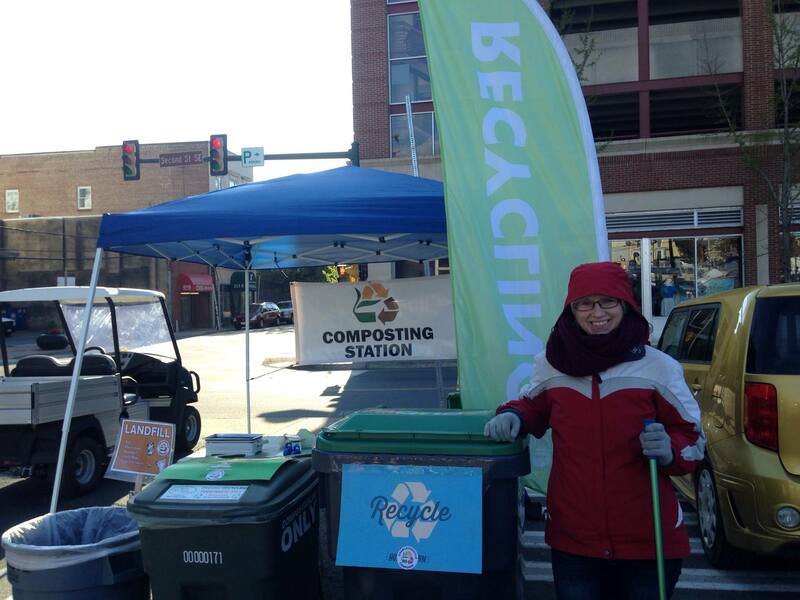 Residents can bring household compostable items to drop-off, get tips and advice about how and what to compost, and pick up a free composting bag to use for their next drop-off.Compared to the 2015 pilot program, the first two City Market events already collected 25% more than in the same time period last year. Volunteer Opportunities: If you are interested in helping make the 2016 composting program successful and you are interesting learning more, you can join us on Saturday morning shifts to help. More information and a link to sign up is available at charlottesville.org/CityMarketComposting. Residents can also continue to use composting program at the McIntire Recycling Center. This program, which was established as a bridge service between market seasons, is currently scheduled to conclude at the end of April. The Rivanna Solid Waste Authority (RSWA) board will discuss extending the program at their April 26 meeting. More information is available via rivanna.org/composting. The “Do’s and Don’ts” of the Composting at the City Market program mirror the McIntire Recycling Center’s composting program, making it easy and seamless for residents to use either drop-off location. Resources about the program and tips for how to compost are available at charlottesville.org/composting and charlottesville.org/CityMarketComposting.More information is available at www.charlottesville.org/composting,Facebook.com/CvilleGreenCity, and on Twitter @CvillePW. Questions can be directed to composting@charlottesville.org or (434) 970-3631.